Governor Martin O’Malley announced today that 240,676 people sailed on 100 cruises from the Port of Baltimore in 2012. 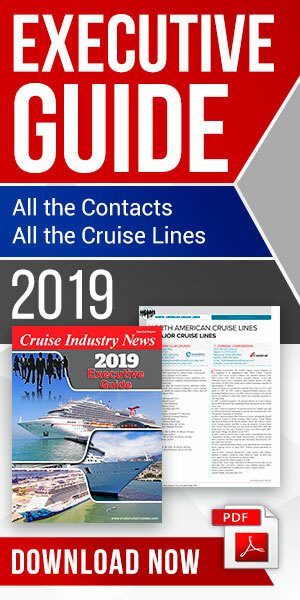 That marks the second highest total passenger count for one calendar year behind the 251,889 that sailed in 2011 on 105 cruises. The total economic value to the State of Maryland of cruising from the Port of Baltimore is about $90 million. Approximately 220 direct jobs in Maryland are generated by cruise activity. Carnival Cruise Lines and Royal Caribbean International offer year-round schedules from Baltimore. Cruises sail to the Bahamas, Bermuda, Caribbean, and New England/Canada. In May Royal Caribbean will replace its Enchantment of the Seas cruise ship in Baltimore with the newly renovated Grandeur of the Seas. The Grandeur of the Seas has completed a $48 million revitalization that will include many new options and upgrades that are available on its two largest class ships, including new dining options, entertainment venues, renovated staterooms and technological upgrades. The Port of Baltimore handled the fifth-largest amount of cruise passengers among East Coast cruise ports, 11th largest in the U.S., and 20th most in the world in 2011. 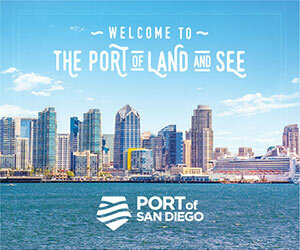 In 2011 the Port began using a state-of-the-art, climate-controlled enclosed passenger boarding bridge. The bridge is mobile and flexible to accommodate various sized cruise ships. Baltimore is within a six hour drive of 40 million people. It is the closest East Coast drive-to port from Pittsburgh, Cleveland, Indianapolis and Chicago and is within a three-hour drive from the New York City metro area. The Cruise Maryland terminal is 2.5 miles from Baltimore’s world famous Inner Harbor and 10 miles from BWI Thurgood Marshall Airport. Maryland’s median household income of $68,845 is the highest in the U.S. Baltimore is also located within a four-hour drive of eight of the ten wealthiest counties in the U.S. The Baltimore-Washington DC-Northern Virginia region is recognized as one of the most affluent in the nation.